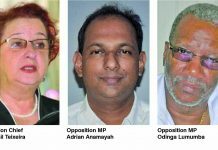 With Government expressing goals such as 100 per cent renewable energy by 2025, the parliamentary Opposition believes critical questions that would bring clarity on how Government intends to make Guyana’s energy mix work, are not being answered. 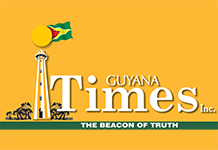 Opposition Leader Bharrat Jagdeo recently zeroed in on solar energy plans for Guyana. He noted that one crucial question with the Government’s solar power initiatives involves using back-up energy generation. But he said Government is caught in a policy vacuum, hence specifics like these are not being addressed. “There is an entire policy vacuum now, because this is precisely what the Government is not doing. So it goes off to Norway, it makes an announcement that we want 100 per cent renewable energy by 2025. It then goes out to advertise for 50-megawatt gas fired power plant. That has disappeared now from the horizon, totally disappeared. A year has passed since they made that advertisement, no update about what is happening there,” he said. According to Jagdeo, who conceptualised the Low Carbon Development Strategy (LCDS), this situation would then warrant extra back-up energy being introduced, as much as 100 megawatts if that was the wattage being generated by the solar power. 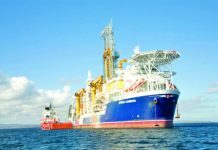 Added to this, Jagdeo noted, was constant rhetoric about a green state economy but without discussions on how natural gas and oil would conflict with this ideal. 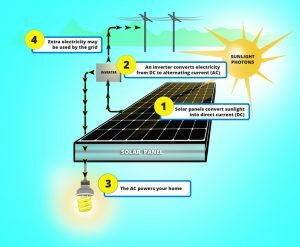 “You would then have to put in, if you get 80 megawatts, or 100 megawatts solar energy you may have to put in another 100 megawatts of back-up energy for that period when you don’t have solar power, you’d have to switch over. These are questions that need to be answered,” Jagdeo declared. A number of renewable energy farms and facilities form the thrust of Government’s goals. In the case of solar energy, Public Infrastructure Minister David Patterson recently provided an update on a US$3.8 million solar farm. The farm, to be funded by the Inter-American Development Bank (IDB), will be constructed at Bartica, Region Seven (Cuyuni-Mazaruni). The Minister had indicated that construction of this farm would be completed by the end of 2018. 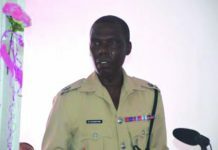 He had also spoken of securing funding from the International Renewable Energy Agency (IRENA) to establish photo-voltaic (PV) farms at Port Kaituma, Region One (Barima-Waini) at a cost of US$1.8 million; Kwakwani, Region 10 (Upper Demerara-Berbice) to the tune of US$2.6 million; and Matthews Ridge, Region One at a cost of US$2 million. 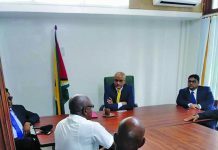 Patterson also referred to President David Granger’s India visit a few months ago to attend the International Solar Alliance (ISA) Founding Conference and Solar Summit, saying Guyana is now a member of this alliance. He pointed out that a line of credit of approximately US$15 million will be available to Guyana. While it has not yet been allocated, Patterson noted that the idea is to provide funding to utility scale energy for Indigenous villages to the tune of four megawatts. He revealed that the Indigenous Peoples’ Affairs Ministry and the Communities Ministry will identify these villages. Government has been heavily criticised for the Green State Development Strategy that has been touted as a blue print to developing a “green economy.” The Opposition has described the document as a hollow one. 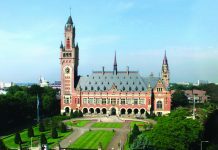 But with Government recently getting the green light to access funds from Norway for its renewable energy initiatives, questions remain over exactly what policy document was presented.